With a record number of entries, from small practices through to large commercial firms, BD Architect of the Year Awards announced the shortlist for 2016. 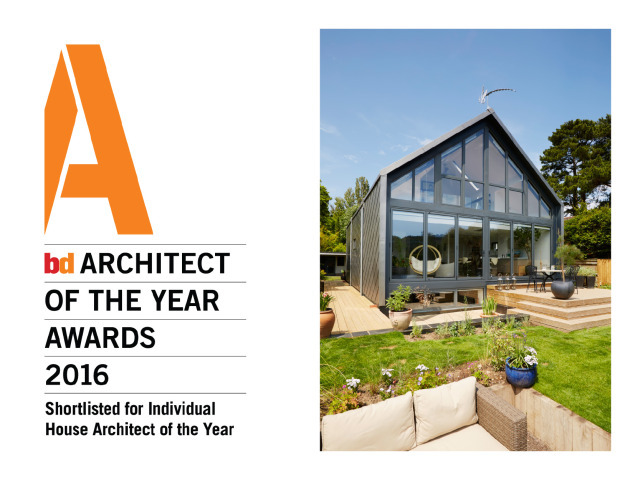 With great excitement, Baca Architects has been shortlisted amongst the finalists for the category Individual House of the Year, again! The 12th edition of the awards is set to be bigger and more exciting than ever. They will take place on 9 March 2016 at London ExCeL’s Platinum Suite in collaboration with Ecobuild , the leading exhibition for the construction and energy market. The awards will be held on the evening of Ecobuild’s Architecture day, creating one of the largest gatherings of architects in the UK. This new combined offering creates a valuable and unique opportunity for the most innovative and established practices to meet, celebrate and do business.